THANK YOU GRACEFUL AGONY READERS! I am honored to have been nominated and even more honored to be acknowledged by my fellow bloggers, my readers, and my peers. Are there ever some amazing blogs out there! -and- The Best Health Blog went to Rolling Around in my Head. I have provided the links for all of you if you are interested in checking them out! Congratulations again to the both of them! You can see for yourself if you follow this link. nor did I think that the support and encouragement would be so overwhelming…. I honestly don’t know what I did without y’all… You mean the world to me. The Final Round of voting is NOW OPEN!! THIS IS THE LAST ROUND EVERYONE!! BLOG AWARDS FOR 2010 ARE NOW OPEN!! AND I REALLY NEED YOUR HELP!! in EACH OF THE CATEGORIES I HAVE BEEN NOMINATED IN!! Are you on Facebook??? Please ask all of your friends to vote!! Are you a member of a health related forum or message board? Please ask them to come visit this site and vote!! 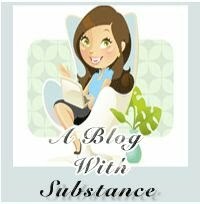 Have you participated in the Graceful Agony Blog Carnival??? Do you have friends or family that have been touched by a chronic illness or chronic pain? Take this time to tell them how much you care – and let them know that I am representing the whole ‘Chronic’ Community in this Competition! Do you have an email or twitter account?? Please forward this post!! If you don’t believe that your vote won’t make a difference, please think again! This has been an amazing opportunity for me, and I am honored to be included with some amazing bloggers! My wish when I started Graceful Agony was to spread the word, and increase awareness on Chronic Illness and Chronic Pain. I wanted to be able to light another person’s path through a life that is often misunderstood. I wanted to leave my footprint, make friendships, and be a part of an amazingly supportive online community…. and THAT is the biggest gift in what I do here. I get all of those things and so much more every day. PLEASE GET VOTING, AND JOIN THE CAMPAIGN!! Thank you to everyone that has given me such amazing support and encouragement through this process. Graceful Agony wouldn’t be a part of the world-wide web if it wasn’t for you.